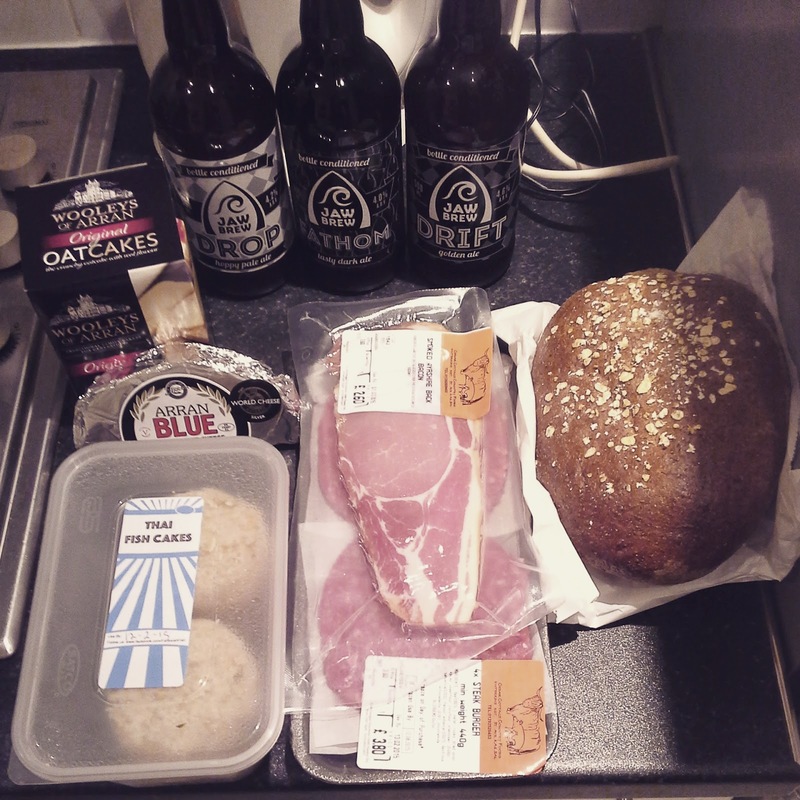 A blog discussing new food and health ventures from Glasgow, Scotland. Over the years I lived in Spain I found myself on many occasions defending British food. We appear to have the reputation in Europe of having the worst food imaginable! Since then I have been trying to work out where the image of Britain only dishing up inedible stodge came from. I can state for a fact that many times this opinion about our national cuisine came from folk that have never set foot on our shores. As it's been over a month since last posting I can only feel embarrassed at my lack of consistency! I have been thinking recently about cafe culture in Glasgow. The Southside and West End of Glasgow are arguably the areas most densely populated with independent cafes, bars and restaurants. The city centre may have seen a recent spate of burger joints opening up but I think in general I prefer a quieter cafe with a big wide window and plenty of people watching potential. In Madrid bars out with the 'trendy' areas were almost universally ugly. They functioned as cafes, as we would think of them, as well. The coffee drinking tradition there was much like it is in Italy - espresso ordered within seconds of entering the premises, drunk as often as not standing up at the bar. If you were alone you wouldn't loiter. It was functional. 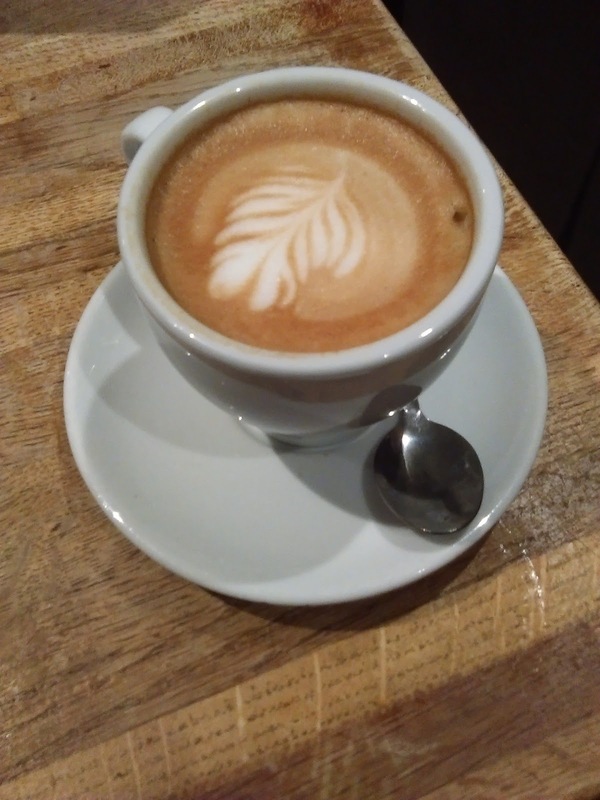 I missed Glasgow's cosy and comfortable coffee houses with table service and massive lattes. I know I drink far too much coffee. 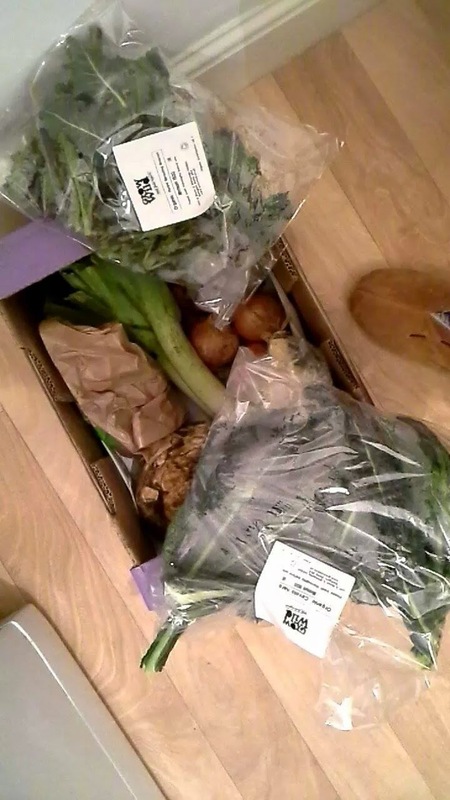 When I did Food Matters' 3-day detox in January, not being able to drink coffee for 72 hours - over a weekend! - was absolutely rubbish! It made me feel down and deprived. Probably some kind of comedown from caffeine. Drinking coffee is a joyful experience. My issue with cafe culture is the abundance of bad food. As a country it's fair to say we are addicted to sugar. And as obesity rates rise it's apparent that our love of cakes and biscuits is partly responsible. Our grandparents generation (I've been told) prided themselves on being good home bakers and offering guests to the home a selection that might have included fruit scones, coffee kisses, Victoria sponge, shortbread... That generation didn't have the problems with weight that we have now. I believe the answer lies in how we view these foods now. It is normal to eat cake, millionaires shortbread, muffins or giant cookies along with your latte on a daily basis. Normal and acceptable. We have lost the ability to treat these foods as 'occasional' and we eat them every day, sometimes several times. Cake has no nutritional value. That's a fact. In order to fight the obesity epidemic we should be encouraged to base all our food choices on what will give us maximum nutritional value. 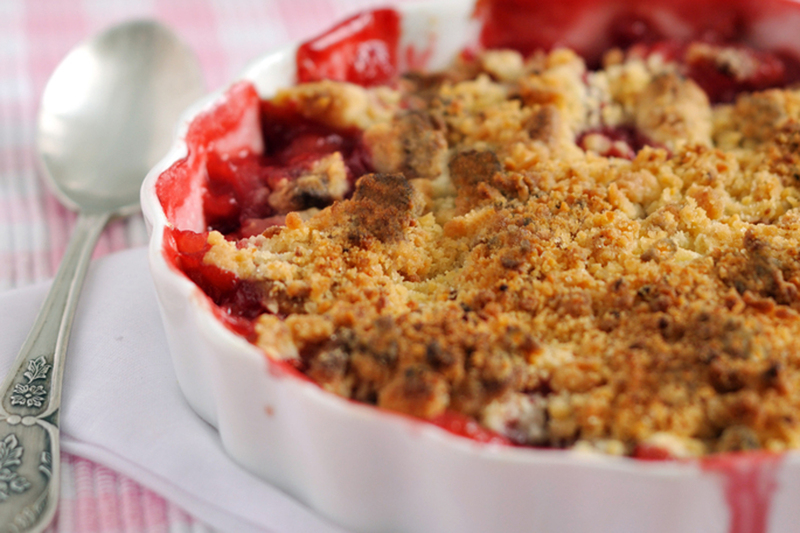 If you start to avoid foods that contain sugar you automatically start to eat healthier. I believe that cafes have a hugely powerful role to play in this. They could overhaul their cake counters and offer us an alternative. Fruit loaves made with wholemeal or coconut flours, sweetened with date syrup for example. Raw chocolate truffles made with dried fruit and beautiful nut butters. Healthy cakes, in other words. Some of the vegan food bloggers online have some incredible recipes that could inspire a new way to eat out. This Rawsome Vegan Life is one of my favourites at the moment. Another idea could be to expand the options. Instead of offering just cakes, how about oatcakes and cheese, or humous and falafel, or banana and peanut butter on toast! Gary Taubes and Robert Lustig are two Americans whose research into the link between sugar and obesity is phenomenal. Here's a short video featuring Taubes titled: This one ingredient is the reason you are getting fat. He hits the nail on the head. The reason this information is not more widely known is probably down to our governments being in the stranglehold of the major food companies who are quite happy for us to eat ourselves into an early grave! So it has been well over a week since my last blog post but I have had good reason for the lapse in blogging - we have a new home. Officially Southsiders! And getting to know the area continues to be a complete pleasure. For some reason our move coincided with a turn for the better weather-wise. This last week Glasgow has enjoyed gloriously sunny and crisp Winter days - just perfect for strolling from shop to cafe and home again via Queens Park's Glasshouse for a wee bask on a bench outside. We couldn't be happier with the flat - we are within walking distance of some great eateries. New Kids on the Block and Old Timers. I'm very much looking forward to paying a visit to the Glad Cafe and Butterfly and Pig in it's new Southside location, as well as revisiting favourites such as Tinto Tapas on Battlefield Road, Frousoulla's Greek restaurant (formerly Glasgow institution The Greek Golden Kebab - everyone seems to know this place!) and Ian Brown's in Giffnock (the latter not quite walking distance but a mere 3 stops further South along the train line). With not having internet access at home yet I've been spending a few relaxed mornings plugged into the WiFi at local cafe Deli Zola. This French bistro-style cafe on Skirving Street in Shawlands has a pleasantly dark and quirkily decorated interior, cool tunes, nice staff and good coffee. (How I missed places like this in Madrid!!) In a rare departure (ahem) I enjoyed a slice of homemade fruit loaf topped with sugar crystals - like a fruity madeira cake - with this morning's latte. Light as a feather and gone in about a minute. They make French bread on the premises and have a varied and interesting menu. I've also noticed it's popular place for fellow laptop workers/ self-employed types. You don't feel hassled to clear out when you've drained the last of your latte. Also the staff take the time to chat to their regulars. A special place. As I mentioned in the previous blog, the Southside plays host to a Farmers Market every second fortnight. I went along this morning bright and early for a look. 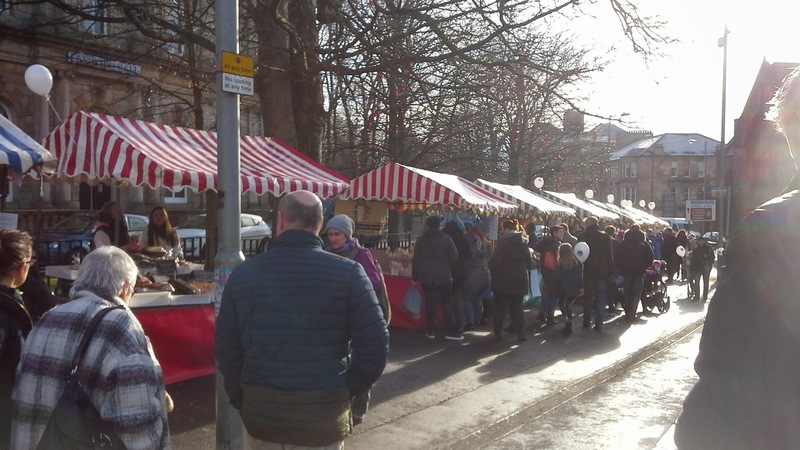 The relaunched market has taken up residence at the corner of a prominent junction (at Langside Halls on Pollokshaws Road) - with plenty of passing Saturday shoppers to patronise the small but varied selection of stalls. There seemed to be plenty of interest and on this sunny morning it can't have but encouraged the vendors that the move from inside Queens Park was perhaps for the best. From the selection I made purchases from those stalls where I had the opportunity to sample the fayre - such as Cedar Cottage with their Steak Burgers (a very reasonable 3.80 GBP for 4). 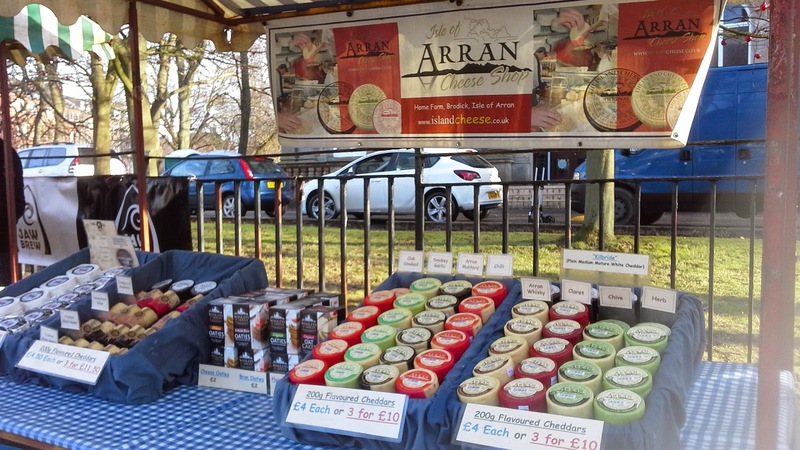 Or where - in the case of Isle of Arran cheese - I was willing to take a chance knowing it's hard to go very wrong with a Scottish blue cheese and some Wooleys Arran Oatcakes! Or 4 massive Thai Fishcakes courtesy of Fantoosh Fish. Having said that, approachability in a stall holder is so important. If you see passion and knowledge shining through from the person behind the table, that goes more than a small way towards encouraging the shopper to invest in that particular product. 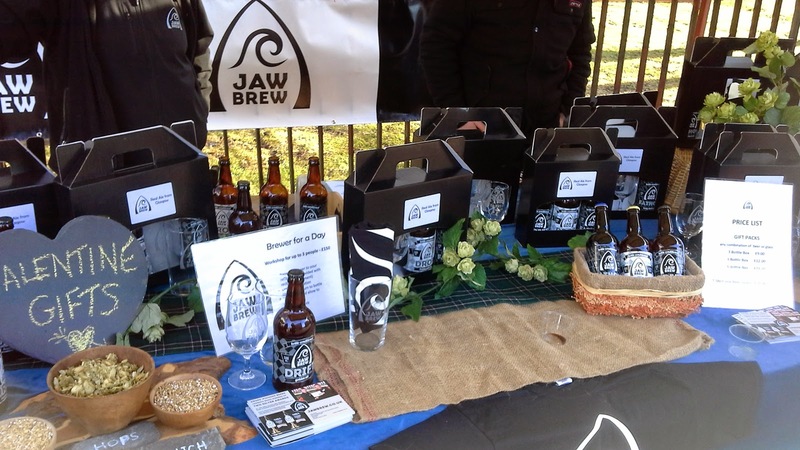 In my opinion no market is complete without a little booze thrown in, so I was pleased to be able to sample Jaw Brew's selection of three bottled beers - Drift (golden ale), Drop (hoppy pale ale) and Fathom (dark ale) - and went on to buy one of each at a very reasonable 2.50 GBP a bottle. We have shared the Drift over a dinner of steak burger and paprika potato wedges and it's a wonderful compliment to the meat. 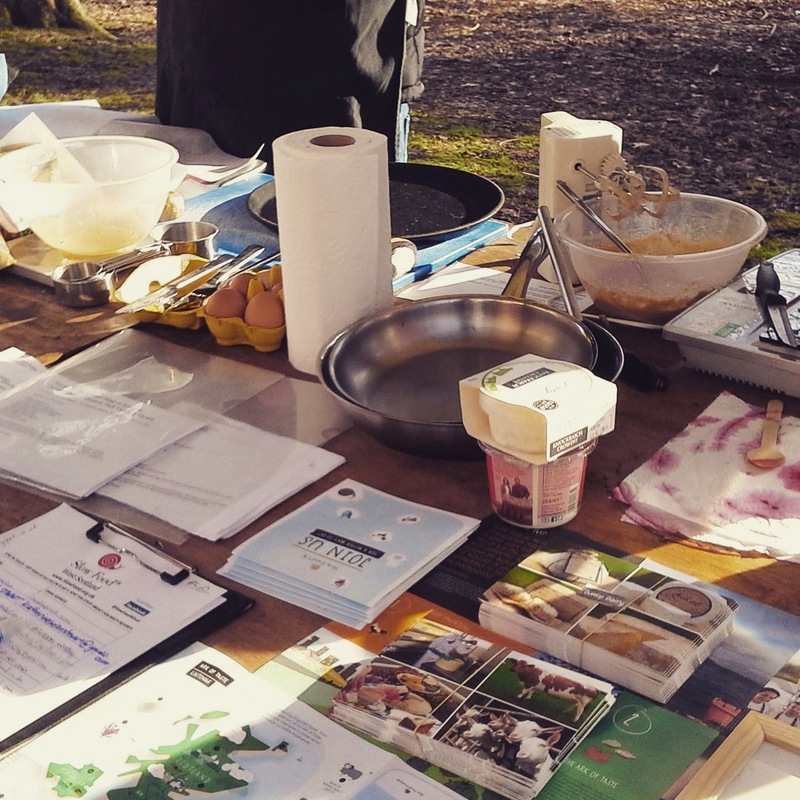 I was pleased to meet some of the members of Slow Food West of Scotland organisation who had set up a stand offering information about the movement as well as cooking demonstrations by member Rachel Gillon. 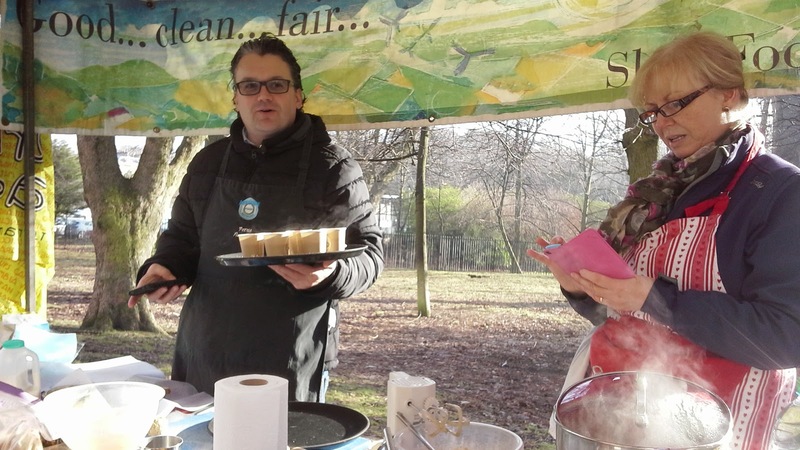 I believe there were three different dishes prepared then offered up to eager visitors: Beetroot and Carrot soup and Beremeal pancakes with crowdie and smoked salmon were the two that I saw. I can vouch for the soup being lovely, light and fresh in that shocking cerise colour that a Smartie would be proud of - but natural of course thanks to the beets. I took away a copy of the recipe and will be trying it out tomorrow with my glut of Grow Wild Organic beetroots. The Slow Food movement is something I didn't come across in Spain - possibly as they are far more reliant on fresh, local produce anyway. According to their pamphlet I picked up the aims include: "(to) help people to think differently about food...campaign about the most pressing food-related issues that we face...educate people about where our food comes from and the effect our choices can have..."
I would love to get on board with this movement - particularly when it comes to offering opportunities through workshops or info days to kids and young people, involving them in community garden or cooking projects. I may be pining after Madrid's winter sun, but today, with the snow outside making everything clean and bright, Scotland doesn't look too bad. On the news it reported that something like 49 schools had closed for the day. Those lucky kids will be out with their sledges! I had intended to write a blog entry every day. I suppose many a fresh faced new-to-blogging blogger sets out with this intention, but then life gets in the way. So I'm not going to give myself a hard time for not writing every day. 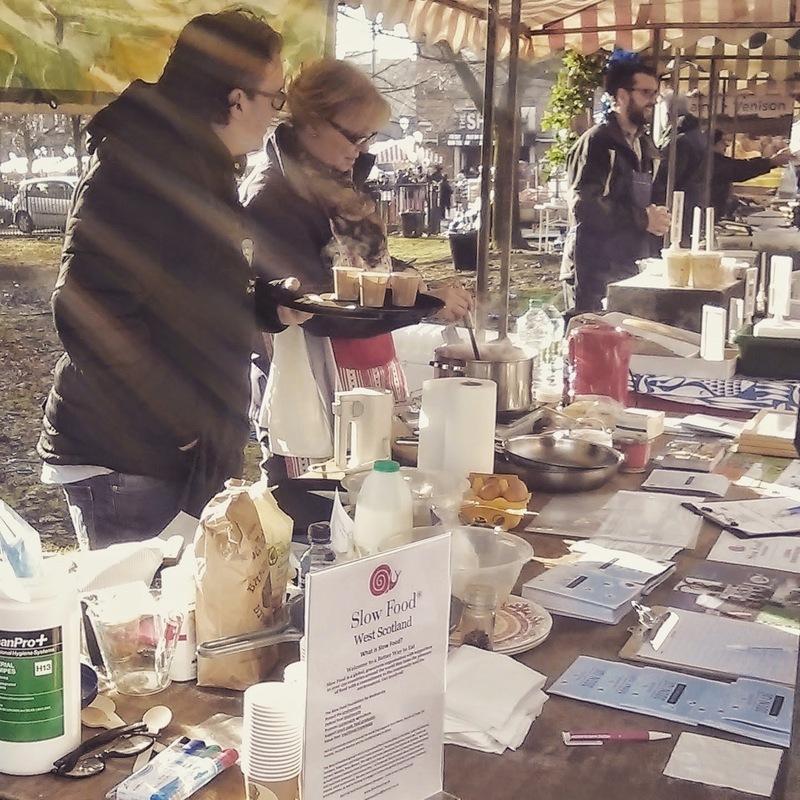 On Saturday we went for a wander to a regular farmers' market that takes place twice monthly in Partick, in the West of Glasgow. This market is managed by City Property Glasgow and alternates between this location and another park in the South of Glasgow. 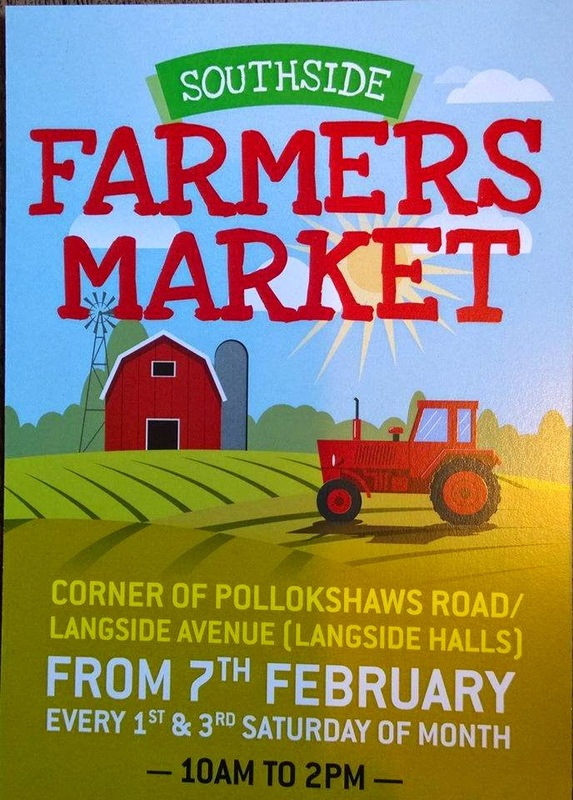 I understand, from chatting to one of the stall holders, that the Southside market is to have a relaunch on Saturday 7th of February in the new location of Pollokshaws Road at Langside Halls. The mistake that we made was to go too late. Saturday mornings are for being even lazier than normal, in my opinion, but this meant that once we finally made it down, a good third of the stalls had packed up, or were in the process of doing so. However, there was a good selection of meats, cheeses, continental products (which I wasn't expecting), bakery goods and even a Quesadilla stall, which we took advantage of. There was next to no veg left, which I suppose is a good thing from the growers' perspectives. 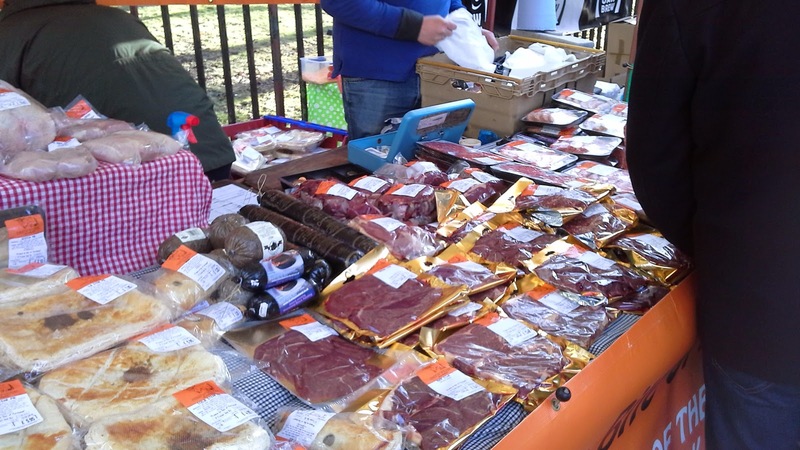 I don't feel I can make comprehensive comment on the market as a whole, but one of the stand-out stalls for us was that of Petrie Fine Foods from Ayrshire. A very knowledgeable and friendly team with samples of their cheese selection (very important) and other Scottish delicacies such as Black Bun. 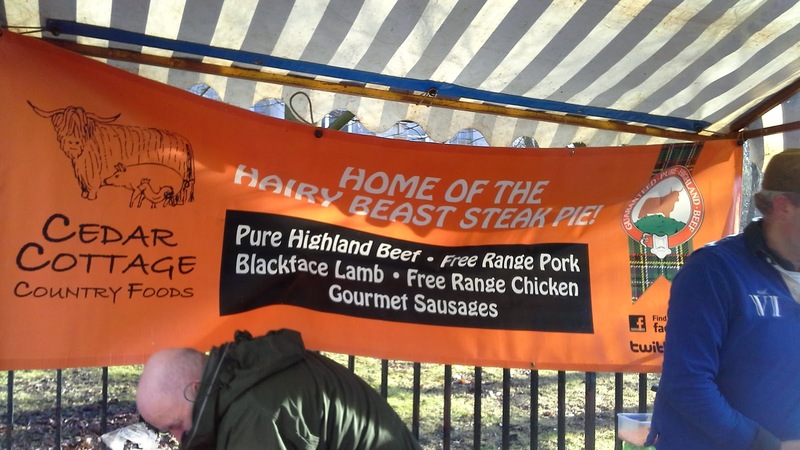 From their Facebook page I gather that they are going to continue to attend the Partick market, so well worth a visit. 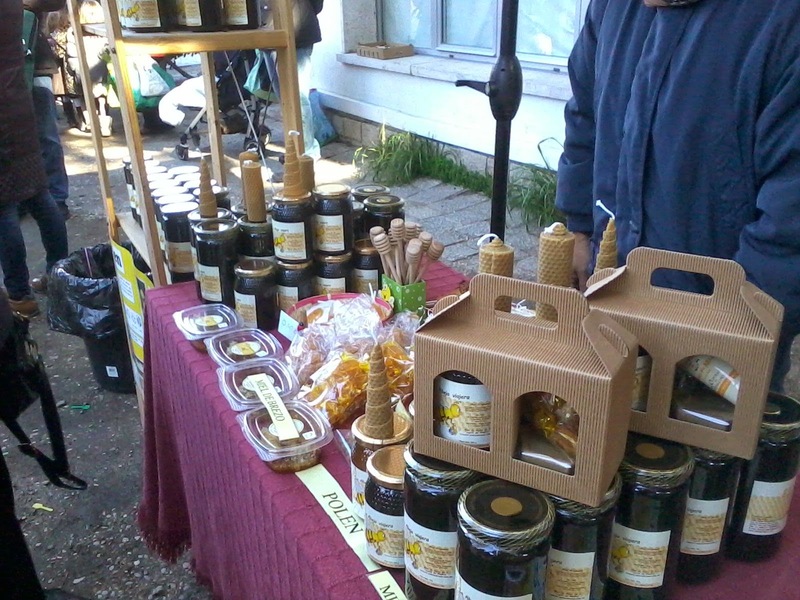 We took away some of their Dunlop Cheese and gluten free Oatcakes and have been enjoying them all week. I have no photos from this market but I hope to have a more interesting and informative report from the upcoming Southside launch! 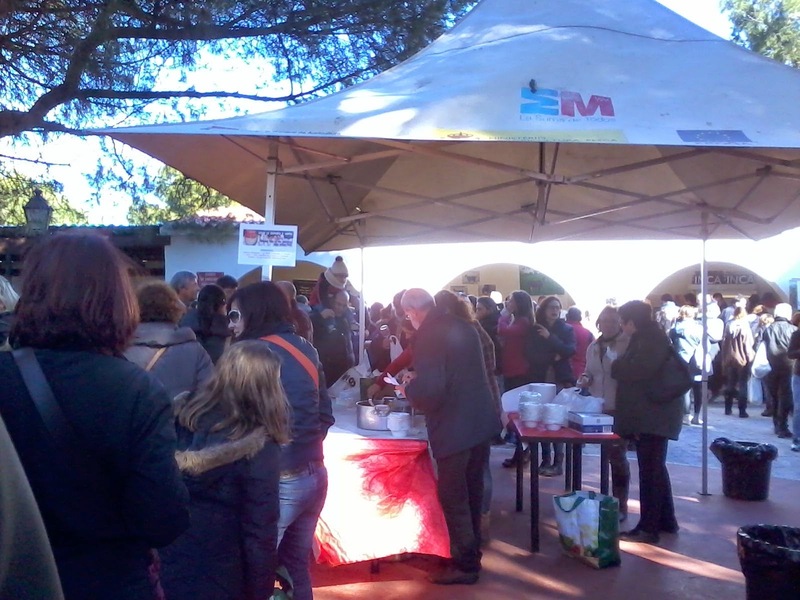 In Madrid I was a regular visitor to the monthly Saturday Dia de Mercado farmers market that took place in the circular patio surrounding the Agrarian Chamber building. All producers were based in the region of Madrid, which covers some 8000 square kilometres, and supplied a wonderful and diverse range of organic produce, meat, cheese, dairy products, beers, vermouth, liquors and wine. 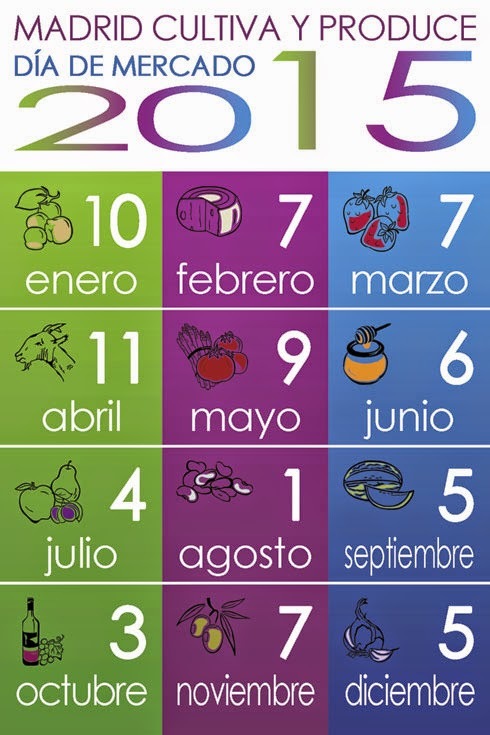 Each month would feature a particular product: cheese, coffee, tortilla etc, and there would be demonstrations and free food on offer. At this market you can buy a wine glass plus vouchers for samples for about 3€ (so cheap, sob!) and work your way round getting steadily more tipsy. In typical Spanish fashion, whole families will go and spend the morning there shopping for organic veg (and storing it in massive shopping trolleys), eating trays of Spanish ham or chorizo sausage washed down with some excellent red wine, socialising and gazing dotingly at the kids as they are apt to do. I loved it. If you plan a weekend trip to Madrid you simply must go. Since I last wrote - for the first time - two days ago I have now discovered that some people have actually looked at my blog (apart from my sister and best friend who I shared the blog with). How can this be? I am feeling very much ego puffed (a phrase coined by Harry Hill, I believe) and it is an injection of motivation for me to continue writing about my interests. Be it food, health, travel, trends or nonsense. On Friday I visited Ox and Finch which is a new (to me) eatery in Glasgow's West End. I went there with a friend and ex-colleague who is always up to date with all things trendy and cool in Glasgow. I don't know if she'll mind me mentioning this, but she is the owner of a lovely boutique in Glasgow: Isabella's Wardrobe. There is a web shop too for all fashion followers. The theme of today is bananas. I haven't yet decided if my blog will have a different theme per post or just a mish mash of my views, things I have been reading about or eating and what's current in food trends. But I wanted to mention bananas as I have eaten a lot recently and I am kind of amazed at how they have come to replace the kinds of bland processed sweet foods that I would eat before (biscuits, cakes, cereal bars) and just how incredibly sweet they taste to a palate that is cutting down on sugar. My most recent discovery is the frozen banana and how, combined with raw cacao powder, milk, peanut butter and coconut oil, it creates a fantastic, moreish chocolate ice cream drink. So unbelievably good. We use a Breville Blend Active to whizz it all together in about 10 seconds. I am looking into the UK NHS' most recent 'Sugar Swaps' campaign. I don't think until now a national campaign has so blatantly come out and pointed the finger at sugar as the cause of childhood obesity. It has adverts on National Television and is branded in a colourful and appealing way with what looks like Keith Haring inspired plasticine characters. My concern, however, is the suggested 'swaps'. Okay, swapping cereal loaded with sugar for plain porridge: thumbs up. Swapping fizzy drinks for sugar-free drinks? No. Aspartame people. Deadly stuff which you wouldn't knowingly feed your kids if you had seen Sweet Misery. It causes horrible, horrible illnesses. 'Aspartame is an artificial sweetener, an additive. And it's a chemical. It's not a natural product, it's a chemical. The molecule is made up of three components. Two are amino acids, the so-called building blocks of protein. So, the NHS has some way to go with this. I will write more about this but suffice to say, our national health advising bodies are yet again giving confusing, mis-information to people about so-called 'healthy' options which don't even involve 'real food', just further processed, and downright dangerous, chemicals. It seems that you can carry an idea around with you for ages and never find the right opportunity to take that first step to bringing that idea to life. I bet this is the case for so many others. How many fantastic ideas we must have floating around in our collective subconscious, never realised for fear, or lack of time, or countless other reasons. 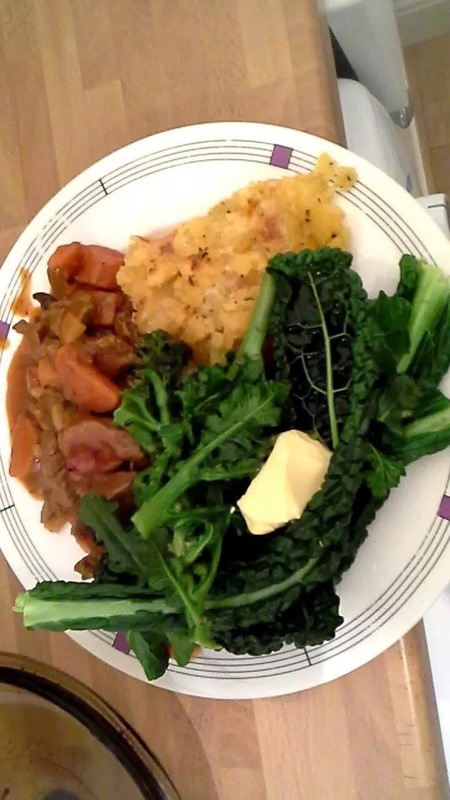 To start a blog of my own, writing about food and health, was one such idea of mine. I've taken the first step. I've started it. Yes, I may be writing this still in my pyjamas in bed, and yes, using my new tablet (thanks Santa) is bridging the somewhat intimidating gap between scribbling thoughts down in a jotter and sitting at the computer ogling a blank screen. To quote my favourite film, Strictly Ballroom: 'A life lived in fear is a life half lived.' Never were truer words spoken, Mr Luhrman. 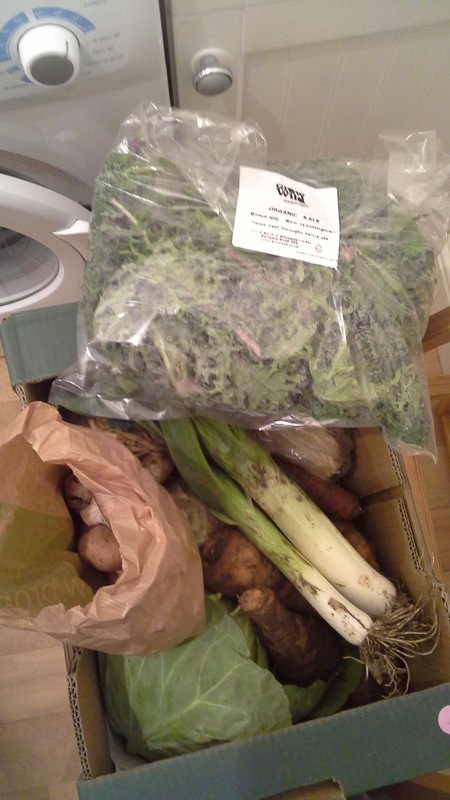 All I'm going to share today is a recommendation to order your organic veg from Grow Wild in Bathgate.